The beauty industry hits hard on the importance of frequent exfoliation to keep skin looking younger and healthy. Spherical plastic micro-bead scrubbers, no larger than a half millimeter, have been introduced into hundreds of skin care products in recent decades, but scientists are discovering that the ocean food web, and maybe human health, could be imperiled as a result. As babies, skin cells are replaced every two weeks, but by age 50 the turnover rate has slowed to six weeks or longer, fostering wrinkles and other unwelcome signs of aging. Products containing plastic micro-beads profess to speed up cell rejuvenation, and their popularity signals that consumers have bought into the promise of exfoliating your way to a more youthful look. Whether or not such products deliver on this promise, scientists have discovered that these innocent-looking plastic micro-beads are insidious little transporters of chemical pollutants into lakes, streams and oceans and maybe onto our dinner plates. Micro-beads are usually made of polyethylene (PE) or polypropylene (PP), and like other plastics, they’re thought to persist in the environment for a hundred years or more. They’re added to facial scrubs, body washes, soap bars, toothpastes and even sunscreens and designed to be washed down the drain. However, micro-beads commonly escape waste treatment plants and pollute bodies of water, because the plants aren’t designed to eliminate them or because wastewater is diverted directly to local waterways in heavier rains. 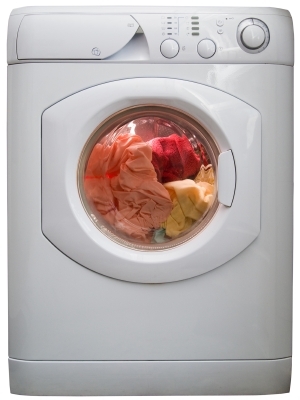 If you have already switched to an eco-friendly laundry detergent, as many people do to contribute less to water pollution, you might be surprised to learn that the pollution you generate on wash day has as much to do with the kind of fabrics your clothes, bedding and towels are made of as the detergent you wash them in. Recent studies have revealed that a single garment made of polyester can shed innumerable tiny fibers into the wash water, and those fibers are finding their way to the ocean. The pollution they cause is worsened by the fact that, like plastic materials in general, polyester attracts oily pollutants in seawater so is a vehicle for the transfer of potentially dangerous chemicals into the food web when the fibers are ingested by sea creatures. Multi-walled carbon nanotubes exhibit unique properties. Photo courtesy of PEN. For the nine in ten Americans who know next to nothing about nanotechnology (NT), there is little time to waste in getting up to speed because, ready or not, the ‘NT revolution’ is well underway with new nano-engineered consumer products entering the market weekly. Another reason, as voiced by consumer protection, health, and environmental organizations, is that NT products are being sold without adequate safety testing and government oversight. The actual number of NT products in commerce is unknown because there is no labeling or reporting requirement. However, over 800 have been tabulated by the Project on Emerging Nanotechnologies (PEN), an online inventory of manufacturer-identified NT goods funded by the Pew Charitable Trusts. In 2007, at least $147 billion in global manufactured goods incorporated NT, encompassing such varied products as cosmetics, clothing, food, food packaging, and dietary supplements. PEN estimates that figure will reach $2.6 trillion by 2014.